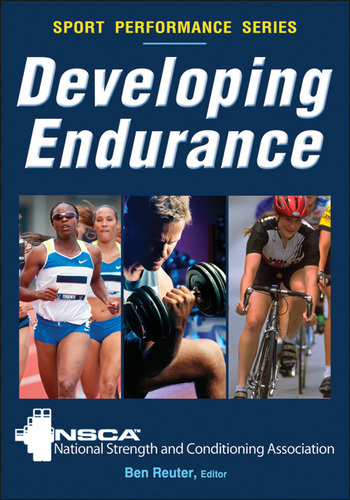 This excerpt is from the book, Developing Endurance. It’s published with permission of Human Kinetics. Purchase this book from Human Kinetics and help keep MyTriathlonTraining.com in online! 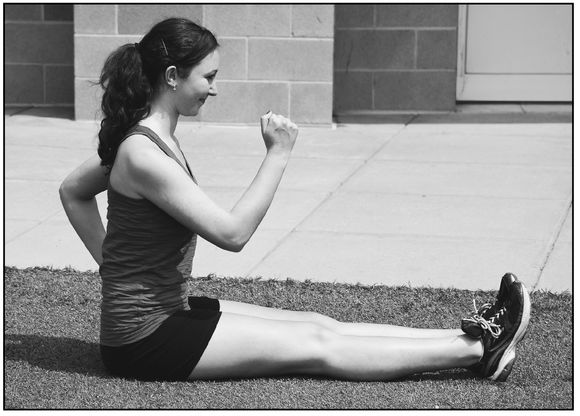 The athlete sits on the floor with the legs extended straight in front of the body; the arms are bent at 90 degrees at the sides. The athlete begins swinging the arms forward and back slowly. She gradually increases the pace, focusing on pushing the elbows back and keeping the movement in the sagittal plane (forward and back). When the arms swing very quickly, the entire body may bounce up and down. If this happens, the athlete should focus on using core strength to maintain posture and limit any twisting or cross-body swinging. 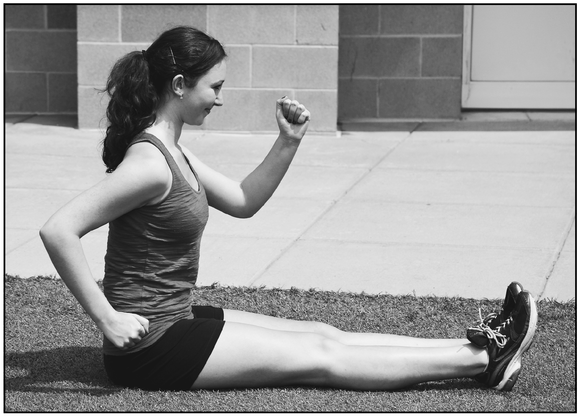 This is a traditional track and field drill that emphasizes the rapid hamstring pull. 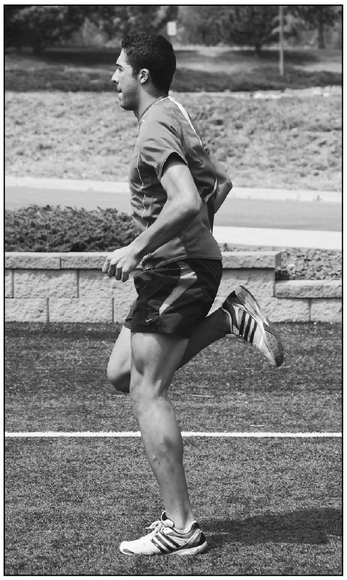 The athlete should allow the hips and knees to flex in order to maintain the range of motion specific to the running stride. 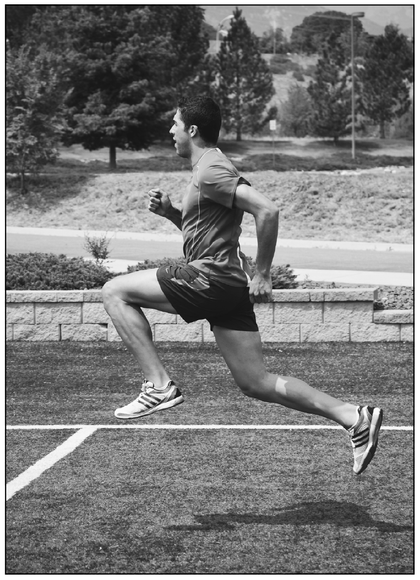 While running slowly forward, the athlete alternately lifts the ankle vertically by quickly pulling upward with the hamstring. He begins slowly at first. 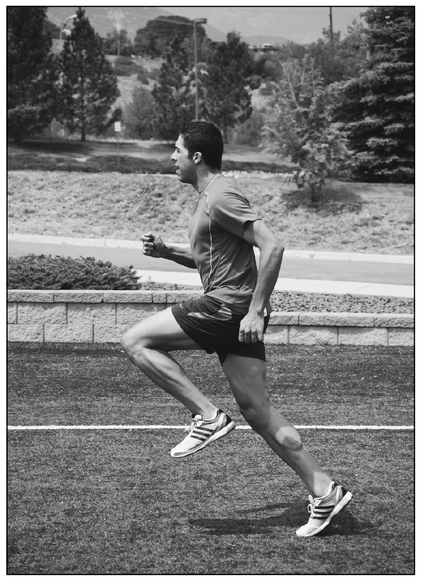 The athlete can gradually increase foot speed so that he is pulling the heels up very quickly and taking a greater number of steps while moving forward very slowly (fast feet, slow body). The arms must be coordinated with the legs during this drill. The drill can also be done stationary. The athlete begins by walking, running, or simply taking one or two running steps to build momentum. He pushes explosively off the ground with the back leg, driving the opposite knee up and forward to gain height and distance. The athlete keeps the heel of the driving knee under the hip, ready to land on the ball of the foot. On landing, the athlete immediately drives the other knee up and forward and pushes off the ground with the other leg. The athlete may move the arms in opposition to the legs as in running, or he may use a double-arm swing pattern, pumping with each stride. The arms should swing or drive forward when the leg pushes off the ground and should recover back just before landing to drive with the next takeoff. For this drill, the coach should emphasize the amount of time that the athlete can hang in the air. The more explosive the athlete is, the longer he will be able to hang with each stride. Is this your first year doing triahtlon?